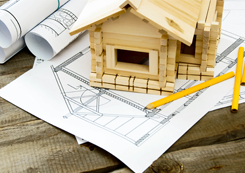 Thomas May Construction Company specializes in general contracting for commercial construction. We do design-build, construction management, and roofing for school, churches, doctor's offices, government facilities, and military bases. We are CPR-, first aid- and OSHA-certified, and we perform level 2 background screening in compliance with the Jessica Lunsford Act, which means our employees are cleared to work on schools and facilities where children are present. Thomas May Construction was founded in 1985 and has maintained its office in Orange Park, Florida, since 1989. We are just minutes away from the surrounding counties. Our location is conveniently situated near major commercial, industrial, and government facilities, and suburban areas undergoing rapid development, which allows for excellent opportunities and close management of our construction projects. 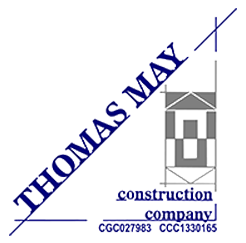 Over our many years of being in business, Thomas May Construction has been dedicated to client satisfaction and producing quality projects. This dedication has given our construction company an excellent reputation in the industry, and we look forward to serving our communities with quality construction well into the 21st century. We have more than 30 years of experience, and we are highly involved with the apprenticeship program with NEFBA (North East Florida Builder Association). Keith Ward is the training vice president within the program.